i arrived home thursday night ready to get errands finished during the weekend when he told me "pack a bag, we're going on a trip!" i thought.. a trip? hm. i have a surprise baby shower this weekend, 6 parking tickets i need to take care of, desperately needing to clean my apartment: the last thing on my mind was a trip. but i packed my bag wondering what was going on. he was so secretive. friday morning, he handed me my boarding pass and said "surprise! we're going to seattle!" 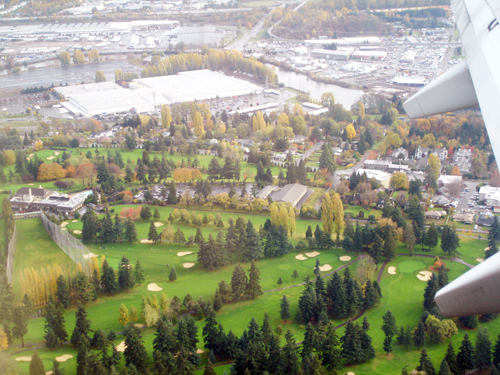 seattle. my favorite place. mainly because, i love the rain. yes yes, i know some (if not many) of you are thinking "how can you love the rain?? it's so depressing" but i just love it. so here we are. on the plane on our way to seattle! i jokingly asking him "are we getting engaged this weekend?" to which he replied, "no. of course not." haha. 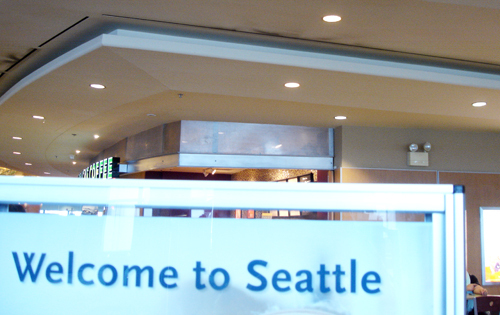 we arrived in seattle. it's not raining, go figure. apparently we just missed the huge storm the night before. but it's still cool to be in the city. it's so urban and artsy. i love it. 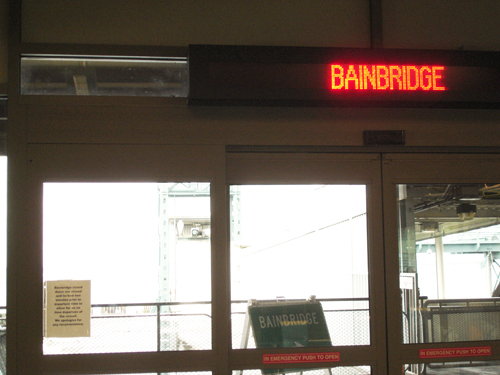 we immediately went to the ferrie and purchased the 1:00 ticket to bainbridge. bainbridge? i've never heard of it. where is he taking me? on the ferry, i notice these 2 girls taking photographs of each other. they were really hilarious cause the wind was blowing so hard but they were having so much fun. 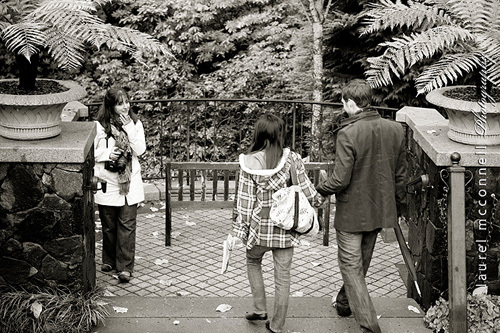 i kind of glanced at one of them and thought "did they just take our picture?" but i didn't want to be paranoid so i didn't think anything more of it. we get a taxi and arrive at the bloedel reserve. 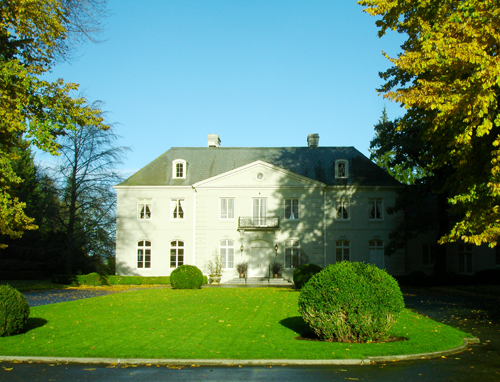 it's a really beautiful property where you can walk through the forest and gardens. it was so serene and peaceful. and no one was around! i think i was glad it wasn't raining because it would have been really muddy. ;) actually, it rained before we got on the ferrie and then the sun came out. 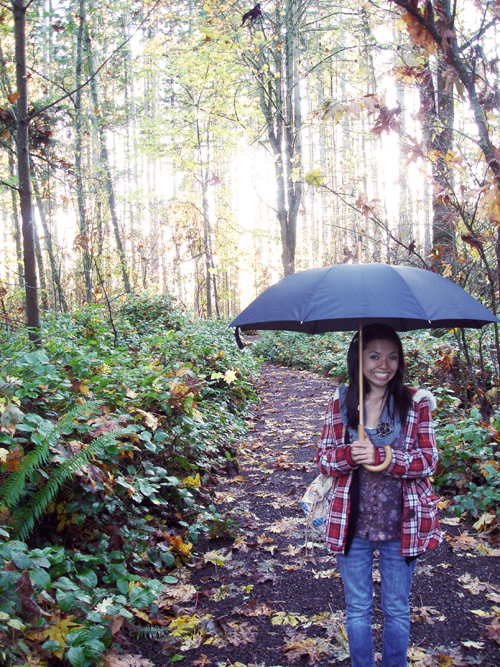 we both thought if it was rainy and gloomy, maybe it would have been all scary walking through the woods (twilight style!) hehe. so we walked for about 15 minutes..through the bridges and everything. we saw a swan. it was really nice! i turn around and nicholas is on one knee with a ring. :) awwwwwwwwwwww. it all happened so fast and i felt so calm about it, lol. it was so amazing and sweet. it turns out he had done a bunch of research for photographers and found laurel mcconnell. he wanted to be sure we had memories and have the proposal captured in photos :) he had been emailing laurel for a month figuring out the plan. (she's also blogged about our story here!) darrah and laurel were amazing and so sweet. 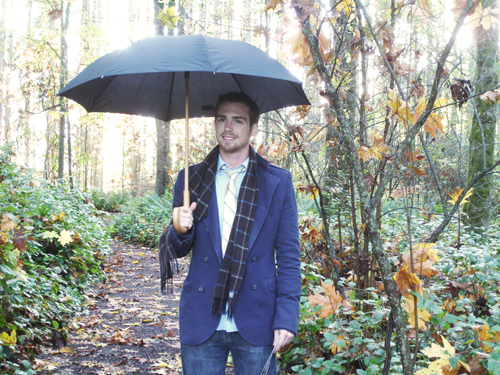 he wanted to take me to seattle to propose in the rain and have it be really special and memorable. then laurel and darrah stayed with us for a while longer, having a mini shoot. i was so unprepared but it was so much fun! since i didn't want a diamond ring, he had no idea what to get me so he made the ring himself in a 3D program he works in for his job and had it made through a rapid pro typing place. the ring turned out to be so thin because he didn't realize the scale he was working in so it actually broke but i loved it... and i'm going to try to glue it back together. taken by helen at our friends surprise baby shower..
that is a story i will save for another day. all you dear blog friends. I know you both are going to enjoy the rest of your lives together! 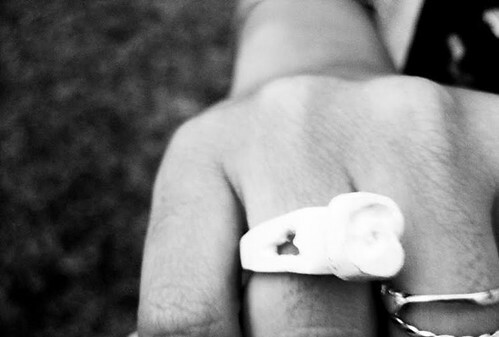 And, the ring was soo sweet! Also! Looking forward to seeing all of your wedding prep! I love you so much and im so glad you enjoyed the trip to seattle! I can't wait for us to start our lives together as a married couple! congrats! such a lovely story! Danni! I am so happy for you :) I cried a little while reading this post, because it is soooo sweet! Such a great proposal story that you'll be telling for years and years. Congrats to both of you! Just a lovely story. Really beautiful. Nick is quite the romantic. Congratulations to you both. what a totally romantic proposal!! Every girls dream I'm so happy for you and Nicholas. And thankyou so much for sharin your moment with us...afterall it's private and must have been a tricky decision. But we romantics out here appreciate it as it's always nice to read such a happy blog post. And hats off to Nic for the camera/photo proposal such a wonderful idea! That is such a great story!! I love it! Congrats and if you want a cool wedding blog Green Wedding Shoes is my favorite. And I love the beautiful photos you have of this moment! this is wonderful, the photos are beautiful :) congrtulations!!! aww that is so amazing and such a cute a creative way to propose congrats! Congratulations Danni! What a wonderful proposal story! Can't wait to hear about all the wedding plans! Congratulations! Such a romantic story! AHHHHHHHHH That is the best!!!!!!! Huge huge congrats!!!!!! LOVE IT!!!!!! oh. my. goodness!!! That is the CUTEST story EVER! What a great guy you have: planning out all the little details and making your ring?! Sounds like a fairy tale! You two are such a cute couple - congratulations!! Congratulations to you both! What a happy story! Way to go Nick having the patience and gusto to plan that all out ~ although does he normally dress so cute (tie and jacket and all?) My husband was suspiciously well dressed the day he proposed as well! Have a lovely time being engaged, and takes lots of time to enjoy one another; don't get lost in the planning! OMG Congratulations Danni!! This is one of the most creative, well though out proposals I have ever heard! I was just in Seattle too recently and our ferry trip out to Bainbridge Island was by far my favorite part of the trip! So cool! Congrats again, and can't wait to hear all about your wedding plans! i love seattle too. what a romantic place to get engaged. my husband and i went there for part of our honeymoon and it was great. can't wait to see your wedding plans unfold. i'm pretty sure it's going to be the most creative wedding ever :). what a cute story! congrats! Congrats, Danni and Nick!! What a beautiful story. All the best to you both!! That is so wonderful, congratulations! What a great way to propose! Yippee! I love engagement stories! BTW that is one of the cutest engagement stories ever! I <3 it! if there's one thing i love, it's weddings!!!!! yayyyyyyy!!! Awwww how sweet! Yay and congrats! OH MY DANNI! what a PERFECT proposal!!! ahhhh just perfect. you can tell how much your future husband just LOVES you!!! 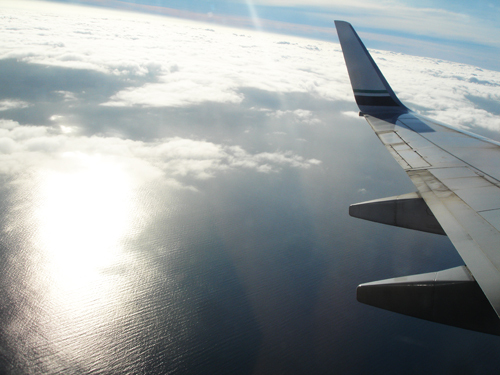 jealous of your story- truth is, i love seattle though i've never been. why? very reason you do... the rain. Eeeeee!! Congratulations! Such a sweet story. And how fun that you have pictures of the whole thing! yahoooooo!!!! so happy for you to begin this wild getting married adventure. and what a sweet boy you've got. Congratulations! 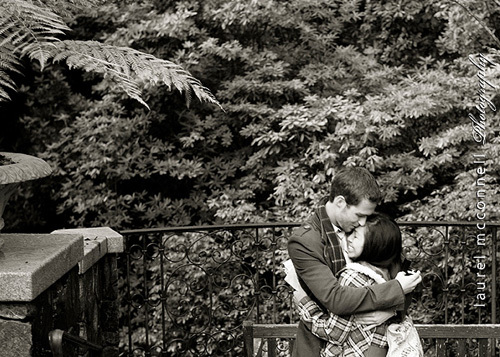 This is a truly beautiful engagement story, and the accompanying photographs were lovely! What a great story - congrats! And so very cool that you have pictures of it too. My hubby proposed & had both people taking photos & it being filmed. :D You 2 are so cute together. Congrats again! Goosebumps. Your story and pictures and happiness that come through the computer screen gave me goosebumps. So very charming and wrought with love. Pure love. Have a very happy engagement and YAY! I can't wait to watch all the wedding plans unfold. Enjoy this time in your lives. It's so wonderful. COngrats!! Oh my goodness, what a sweet story! I'm crying right now! I am so impressed he put so much thought into the little details! Congratulations! I can't wait to read about your wedding planning details! I'm so happy for you!!! Congratulations! I can't wait for you to take us through the WEDDING! what a sweet proposal! congrats Danni!!! i'm so excited for you! Married life is so much fun. that is so very exciting, and how creative! I can't wait to see what you will be doing for the wedding, I can only imagine how wonderful it will be! I'm so, so very happy for you and know you must be terribly excited. What a lovely proposal story, you've definitely got a keeper. A big congrats to you both!!! Congratulations! What a wonderful story to be able to tell! Aww, what a romantic proposal story! =) I'm sooo happy for you. CONGRATULATIONS TO YOU BOTH!!! That is so cute, congratulations! Oh wow! Congratulations!!! So sweet! Aww what a great proposal story! I love that he surprised you! I just got enaged myself and it was a surprise trip too :) Yey for proposals/surprises! Congratulations and enjoy your engagement! WOW.... what a fantastic proposal. Congratulations. Just discovered your blog and it looks wonderful - I will be back for sure. How wonderful, congratulations! :) Every blessing to you both. congratulations! such a sweet story and thank you for sharing and documenting this!! So sweet! Congratulations and looking forward to hearing all the planning details. Yay, congratulations!!! What a sweet engagement story. Congratulations!!! That is so sweet - can't wait to hear about all your wedding plans!! oh my goodness so cute! i love the photograph proposal = EXCELLENT EXECUTION! aw that is such a sweet proposal, congrats!! so exciting! congrats!! 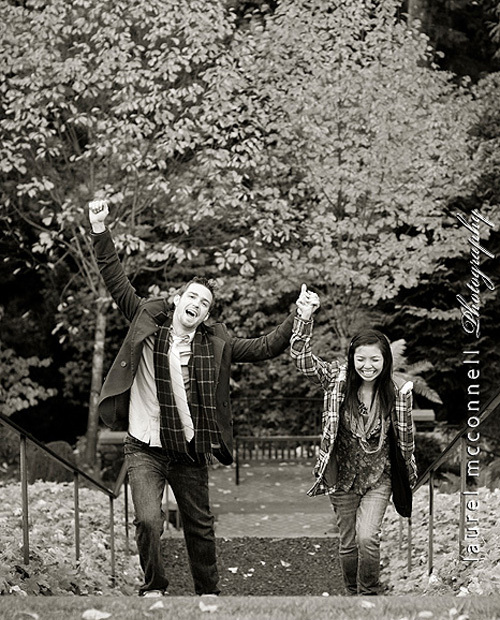 the pictures are so cute and the whole proposal is so fun! i wish we had a photographer there for our actual engagement, but my fiancé is pretty loner when it comes to personal things, so we just got some pics after the event :) congrats again! What a fabulous story! I love that he made the rings. Congrats! awe! that is so effing sweet! congrats to you both. Such a wonderful story. One to tell the grandkids. Congratulations. Cant wait for the wedding blog ;) I too am planning our wedding! Oh my gosh! CONGRATULATIONS on your engagement! I met you and Nicholas at the UCSD Vendor Fair and you were both so lovely. I wish you both the very best! What a sweet story, and what a lovely ring! congratulations! I love the story and i'm so glad you were able to capture the moment on film. happy news! congrats to the both of you! How beautiful, I'm totally speechless. So happy for you Danni!!! Now we can both talk wedding talk... although I don't have any more fun planning to do! And Nick is just too cute, can't believe all the planning he did! p.s. i love the rain too. and the snow. and seattle! Um, that is the sweetest thing EVER. I love the whole thing with the photographers. Congratulations Danni!!! That is so romantic! CONGRATULATIONS, DANNI! I LOVE YOUUUUUUUUUUUUUUUUUUUUUU!!!!!!!!!!!!!!!!!!!!!!!!! I'M SCREAMING ALL OVER AGAIN EVEN IF I GOT TO HEAR ABOUT IT THROUGH EMAIL AND IN PERSON AND NOW VIA BLOGGERVILLE. CONGRATS CONGRATS CONGRATS I LOVE YOUUUUU! SO EXCITED FOR YOU AND NICK AND THE WEDDING. LET'S WEDDING PLAN, PRONTO. Just found you through Twitter, what a darling way to propose! What an amazing story! He's a treasure!! Congratulations to you both!! awwww. that is so sweet!! bainbridge is such a pretty setting too!! i have family there.. SO sweet! I couldn't help but cry when I read this :) Congrats on a beautiful engagement! Wow, how romantic.....what a why to propsose......I am stunned! ongrats to you both and may your story be a very happy one. Oh My! How sweet and lovely and wonderful...I am so bad...I haven't even read the story yet! I was so excited when I saw the post title and then scrolled all the way to the bottom to see him on bended knee. I had to send you congratulations first. May God's blessings shower on you above all that you could ask or imagine as you prepare to be a bride. So happy! oh wow! congrats and thank you for sharing your beautiful story with us! I love that you have pictures of your proposal to cherish forever, your smile is full of happiness in the pictures, I love it! Best wishes! Congralations!!! That is such a great engagement story! You have such a sweet guy! eeee, congratulations, hon! And what a *sweet* proposal!! I *love* that your man thought to hire a photographer to capture the moment, too! GENIUS! Best wishes + much happiness your way!! what a sweet story!!! congratulations!!! the pictures look great! Oh, that is just the most charming and adorable engagement story ever! Congratulations! And it was just perfect that he planned and had a photographer there because it would mean so much to you! And the ring that he made was waaay too awesome! You two will have the most beautiful wedding! Keep all of us posted :) God Bless! Wow! Congrats! You two are soo cute together! It's funny how I don't even know you, but I feel so genuinely happy for you both. Ahh, love. your story made my day<3 i couldn't stop gushing. This has to be the most beautiful proposal story ever. You guys are so gorgeous together. The rings... the location! All so perfect. Congratulations! Oh my gosh! How exciting and so sweet! Wow!!! Congratulations!!! It's a very romantic story!!! This post was So sweet! I absolutely love your blog and when I started reading this I instantly started to tear up! You and your fiance look so happy! Congrats! i can't wait to follow your blog with all the plans and preparation. Ah! Congratulations! So perfect! Yaaaay! Now start planning because your wedding is going to be AMAZING. what an awesome surprise! nick did well! congrats! oooooomigosh, HUGE congrats to you!!!!!!! can I just say, when you posted that you were going away on an impromptu weekend getaway, the first thing that crossed my mind was: omg, he's going to pop the question. That is the sweetest proposal ever, my eyes welled up reading your story. Thank you so much for sharing this wonderful moment in your life with us!!! Looking forward to reading all about your wedding prep. That made me teary eyed! Such a sweet story & I'm so happy for you. Congrats & enjoy every moment! So cute and congrats!! I actually saw this yesterday on Lauren's Blog and thought - wow, that looks just like Danni from Oh Hello Friend, but thought that is crazy, she lives in the OC, not Seattle. I guess I should have read the first paragraph! Oops! Congrats. Can't wait to hear all about your planning! What a beautiful story, congratulations!! and HURRAH for handmade rings by the husband to be because i don't care for diamonds either! your engagement story is so romantic!!! can't wait to hear all about your wedding planning. congrats!!!!! what a prince charming you get to spend the rest of your life with!!! Ohhh, congratulations! What a gorgeous story! So cute! that is one of the sweetest stories ever! congratulations!! What a great proposal. I'm on the verge of one myself, and all I can think about is "when is he gonna do it?" So I've been trying to look nice all the time just in case. You look great! And so happy! Congratulations! Congrats you two! This is such an amazing story. I love that have photos of it! Eeee! Yay Danni I'm so excited for you. I'm glad it's happened. And I can't wait to read about all your wedding preps. That was a really sweet proposal too! This is the CUTEST story I have read in a long time! Best wishes! This is so exciting for y'all! congrats dear! how exciting and lovely and wonderful. Hi Danni! It was such an honor to be a part of your proposal! You have no idea how excited me and Laurel were. We couldn't wait to see your surprised face. We're so glad it went well and that you said YES! Congrats! I wish you a beautiful life together! amazing amazing amazing! i smiled the entire time i read this!!!! congratulations! How wonderful! Such a beautiful and sweet proposal story (unless I was saying this to a guy, then I'd say what an awesome and intense proposal story). Best wishes to you - and congratulations to Nicholas! BTW, I also LOVE the rain. It's one of the reasons I love living in Portland. Oh what a wonderful proposal. Congratulations!!! You look so wonderful together, I wish you a lifetime of love and happiness. I can't wait to see and hear about your wedding ideas! I know you'll have a really beautiful one! Yay!! Congrats girl! :D Aww...I love hearing engagement stories! Congratulations! A beautiful couple, beautiful story and what is to be a beautiful wedding. I too became engaged recently, so I'm super excited to get some inspiration from you! congrats!!! that is the sweetest story!!!! I can't believe you're engaged and may be married soon! It wasn't too long ago when you were 5 or 6 years old on that Fong family road trip up to the Pacific Northwest. I am so flattered that you love Seattle so much that Nick picked it as the special place to propose. Uncle Stan and I think it's special here, too. Nick, you did good! 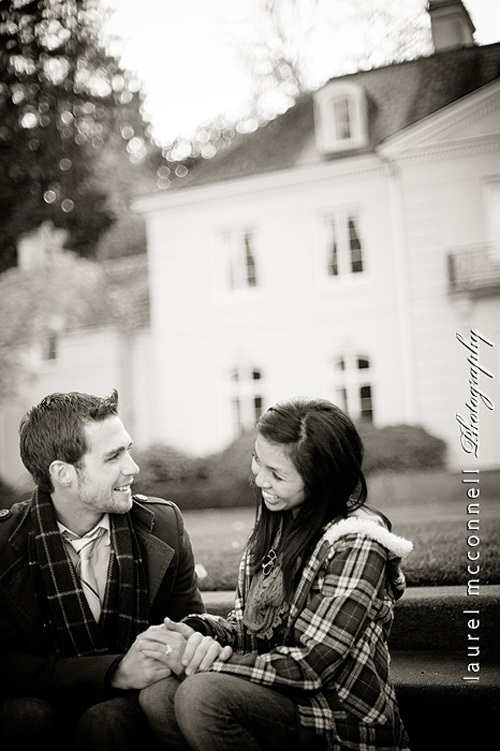 Your engagement pics are precious. Best wishes to you and CONGRATULATIONS!! Congratulations! A lovely proposal, a great story, i teared up as well! Just gorgeous! Best wishes to both of you. You two are just adorable. Really, really adorable. congrats! so romantic! you guys are so cute together. hope to see you two at an upcoming show soon! What a great story- soo romantic!! Congratulations! I JUST got engaged about a month ago and it's been SUCH an inspiring and magical time for me. For the next few weeks you will really throw yourself into wedding everything. I love it so much and I'm so thrilled for you! If you need any great inspiring wedding blogs, let me know!!! you and nick are adorable. also, i can't wait for your wedding blog! That was so sweet of him, he thought of every little detail possible! Almost made me cry! Congratulations! 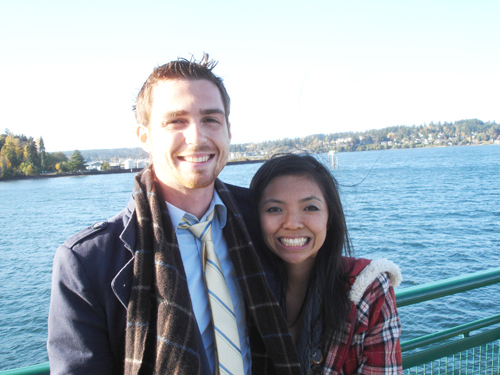 I live on Bainbridge Island (it is a beautiful little island) - what a wonderfully romantic engagement story. Beautiful and fun! Hooray! What a sweet, sweet fiance and a very cute and lucky girl. You're wedding will be magical and the marriage, I'm sure, even better. I saw him in person in San Francisco and thought he seems very sweet. And, I now know that he actually is! Congratulations, Danni! What a fantastic proposal! How sweet! Congrats! your boyfriend is so nice and dedicated to do something like this... it must have taken so much effort to coordinate the whole event, plus make those rings for you! i am so tweeting this, to share the love around, haha. Congratulations, Danni! I only found your blog last month but I'm as happy for you as if I were a longtime reader. I can't wait to hear more about wedding details! That is such an incredibly sweet engagement story. I read Laurel's story of the both of you as well. What a beautiful story! Congratulations!!! the sweetest of sweet proposal stories... congrats to the both of you! This is an amazing love story. Nick is quite the romantic and has such a creative flare to express his love for you. You are both so lucky to have each other. I am real excited about all your up and coming plans for your wedding day. It's going to be a fun wedding!!! Congrats! What a cool, wonderful engagement story. And I'm glad Seattle was a part of it! That is without a doubt the BEST engagement story I've ever heard! Congratulations! WOW! Straight out of a movie, only way more touching and original... Congratulations on this wonderful piece of news, and how sweet was his proposal! I'm really happy for you guys! From reading your blog, I can see how supportive and loving he is and how in love you guys are. 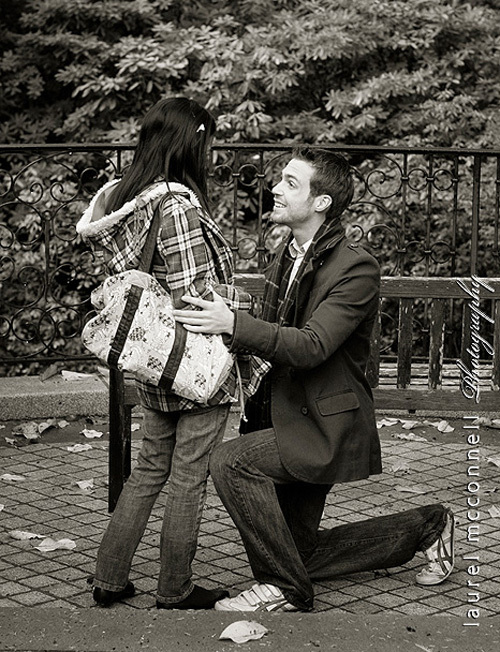 I hope you don't mind, I would like to put up some of your proposal photos on my site. I've never left a comment but i've been a loyal lurker for years and i'm a huge fan of your work. Do tell me if you're uncomfortable with it, i won't do so. Congrats again and blessings to you & Nick during this wonderful time. Aaahh!! I am so freaking excited for you! I am totally tearing up as I write this. What a sweet fiance! I absolutely adore how he proposed and the ring and well everything is so beautiful. You guys are just the cutest!!! Congrats!!! Your so cute, you look really happy. Eek! I knew it would happen this weekend!! Your wedding is going to be the most beautiful. ever. oh yay!!! Congratulations! That is sooo sweet! What a great little BIG story:-) Enjoy your engagement, it's a great time! wow! that's so exciting! congratulations - and what a beautiful way to propose! awww thats so sweet! congrats! Congrats! 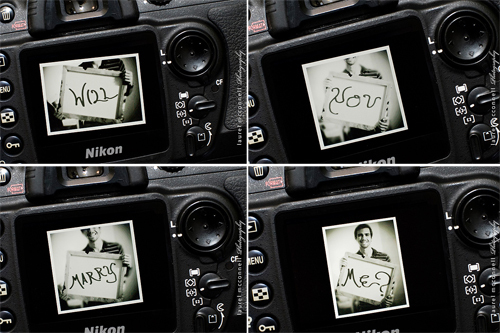 That is so sweet and lovely of your ***fiance*** to plan for a photographer - I lurve pics so yeah, that rocks my world. Wow, what a sweet way to propose. The pictures are wonderful. You look so happy. Next time your in Seattle, let me know, maybe we can meet up. Congratulations, you two make such a sweet couple! wow!! congrats he really made a plan !! :) ♥ I wish you the best of the best! that is so cool, I remember meeting you two at Kinney Fest and he was a really nice guy! Oh my goodness! That is incredible. I am so very happy for you. Marriage is amazing....especially when you are marrying your best friend! Hope this time of engagement is wonderful! oh my word....what a FANTASTIC proposal story!! I give that man some serious props and claps for that romantic scheme! 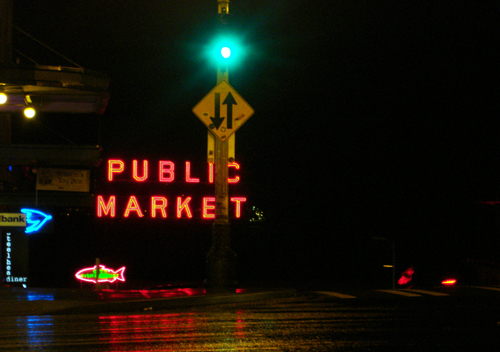 we were just in Seattle and I fell in love....the pictures made my heart skip a beat.......and the fact that you have such cool photographs of everything is just so wonderful! i hv read your blog for a while and i am so inspired by the photos! you two are really a very sweet couple and i cant wait to see your wedding photos! CONGRATS! What an amazing story. So sweet of your man to plan something so memorable. Sounds like he's a keeper? Haha. Enjoy the ride! Congratulations! Reading your story gave me goosebumps! I hope that my daughter finds a man as sweet as yours - does he have a brother?? What a great guy to take you on a big surprise trip to propose! Congratulations! Wow, this is so romantic! You look awesome together as well! So very cute and sweet. Congrats darling!